The Hair Boutique was established in December 2011 and has gone from strength to strength, building an extensive client list. 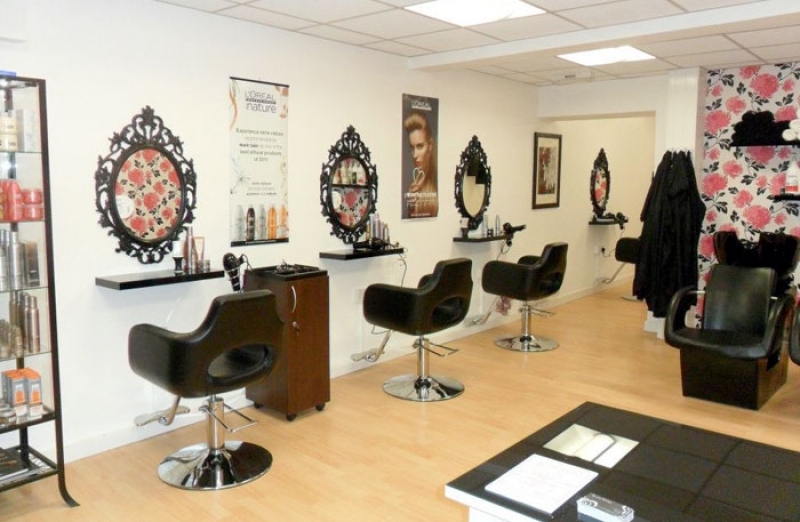 Claire and her team have many years of experience in the hairdressing profession and provide a wide range of hairdressing services to clients. Whether it’s a 6 weekly trim, a complete restyle and colour change, Keratin Treatment or just a simple fringe cut, the salon strives to cater for all client’s needs. Additionally, Claire is fully trained in all aspects of nail care and provides professional manicures and gel polishes. So call into the salon today to have a coffee and arrange a consultation! The salon is located in Market Street, in the centre of Barnstaple and great care has been taken with the internal design and decorations to provide the most relaxing and pleasant environment possible. Everyone is welcome and our client list is wide ranging; from children up to the more mature individual. L’Oreal products are used, which are often considered to be among the best available and the salon can also supply products for use at home, at discounted prices, to keep your hair in tip top condition between visits. The friendly and highly trained staff are lead by talented NVQ 3 level senior stylist Claire Gale, who has many years experience in the hairdressing trade. She is a qualified hairdressing assessor for the NVQ course and certified in Raccoon hair extensions. Claire also provides a full nail care service from manicures to gel polishes. Everything we do at The Hair Boutique is done with one aim. That is to ensure that our clients feel good about themselves. We strive to offer the highest level of excellence and to that end we continually train in the latest techniques and only use products once we know exactly how they work with the full spectrum of hair types and natural colours.